Close to Burbank Airport and the Galleria and convenient access to the 134 Fwy. Ultra modern business centre fast internet access and modern telephony services. Administrative services in a very economic environment. From this tech-powered business center you can reach Bob Hope Airport via CA-134 within 20 minutes. 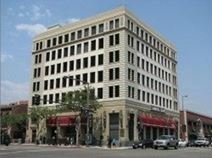 Internal and external private offices are complemented by fully furnished executive suites, meeting rooms and a business lounge, all just two blocks from Americana and Glendale Galleria. The area's regional transport connections are also exceptionally convenient, offering ideal services in operation throughout the area across numerous rail and road networks. Business park with leased offices close to all amenities and the Galleria, is offering offices with state of the art technology, easy parking and other facilities. Located in downtown Glendale. This centre located in Glendale close to the shopping mall and other nearby amenities come friendly reception cover and high speed internet and telephony. 24 hr access and meeting room facilities / tea point. 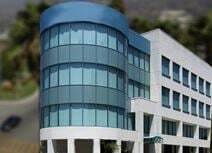 This business centre located between Hollywood and Burbank and close to all amenities is offering a full service facility of modern highly furnished offices with 24 security access and courteous receptionist. State of the art telephony services also offered. 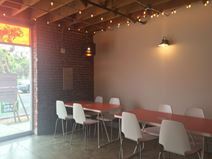 Ideal for working parents this fantastic coworking space made up of six individual workstations and three communal tables that are ideal for collaborating teams in a historic building in Glendale. Located in the same space is the on-site childcare center so children can learn and play just steps away from their parents.